Pyramid Party Rentals (formerly known as The Jumpy Bunch) first opened our doors in 2011 with 4 small bounce houses. We soon acquired Diablo Jumps in Danville, growing our inventory to 20 inflatable units, a couple of concession machines and 4 tables. We then made a major jump and added Photo Booths to our offerings. We continually add new, fun and innovative products to our inventory, while we promise to always offer the classics! 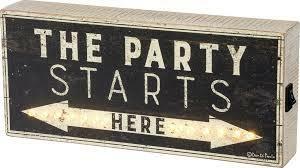 We are a fun group, but we are certainly serious about being your #1 source for an amazing party rental experience! We believe we have been so successful because we never stop proving that our customer service is our #1 priority. It is not good enough to simply meet your expectations as a satisfactory party rental company. That just will not do! We understand that you are renting our equipment because you are organizing a special event. Special Events require *extra* special service. There enters Pyramid Party Rentals. We take pride in the 5-star Yelp reviews you give us... and we will not let you down! Gene: There is no pyramid without the man on top! Born and raised in San Francisco, Gene and his wife, Laurie (see below) moved to Brentwood in 2010. With 3 grandsons and 1 granddaughter, he knows what it means to bring fun and entertainment to the masses! Laurie: That tiara on her head is no prop! Just ask Gene. She is a proud Bay Area native and loves seeing the community thrive. As the mom of 4 daughters, and the grandma of 4 grandchildren, she has plenty of experience in Party Planning and puts it to good use every day with Pyramid Party Rentals! Kristy: The mastermind behind the red curtain! In 2011, she gathered the family around and said **Let's do this!**. So they acquired a few jumpers and a sno-cone machine and went to it. She is the mom to an energized 9 year old son and a fun-loving teenage daughter. She is also the wife to Steven, so keeping these 3 kids entertained led naturally to a party rental business aimed to bring joy to ALL ages!